Are you searching for music WordPress themes for your band, music blog, music portal, or fan club website? Don’t worry you will find all the suitable features required to create a fabulous website in the 5+ music WordPress themes, we mentioned here. But before starting with these themes let’s have a glance at what these themes will do? These themes have a customizing option for background, header and even the menus. Also, they are compatible with all kind of browsers and can be used on any device as they are responsive in nature. To know more, let’s move to these music WordPress themes. If you are a singer and records label & other songs then definitely, you need a website to sell your passion. And using Classical music WordPress theme you can easily do that. You can create a website for a music store, music blog, recording studio, and music portal using this music WordPress theme. Also, you can add your own logo, taglines related to your work, social sharing icons and more. The Classical music theme is SEO optimized and also compatible with all major browsers & screen devices. Even after so many features, this will cost you only $79. You can sell your online membership as it is integrated with InkTheme plugin which brings a safe payment mode that is PayPal. To make various pricing plans you can also integrate Classic music WordPress theme with pricing plans plugin. It has a unique set of 8 colors which can make your website look beautiful. In this theme, you will find a boxed slider where you can add images, videos, songs with description. 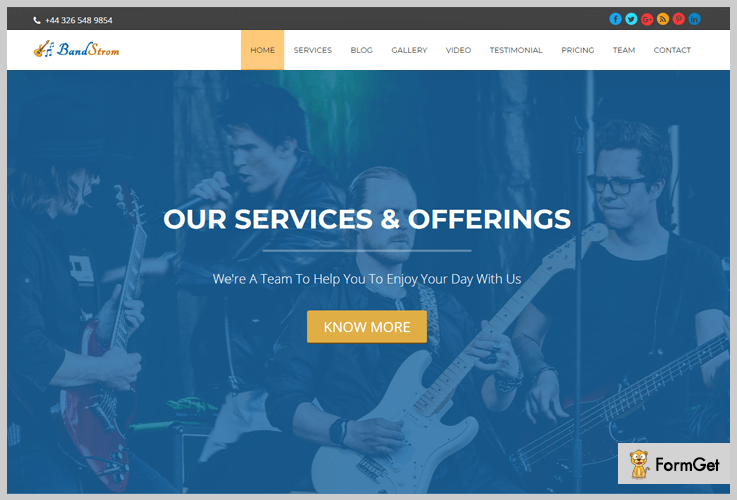 The name of this theme has definitely given you an idea that it is best suitable for music band websites. But other than this, it can also be used for musicians, singers, and DJs. It has many well-designed characteristics which make it flaunt. And, the best part is, it is a one-page template which makes it popular among its users. This theme has a blog section where you can write blogs and share your posts. 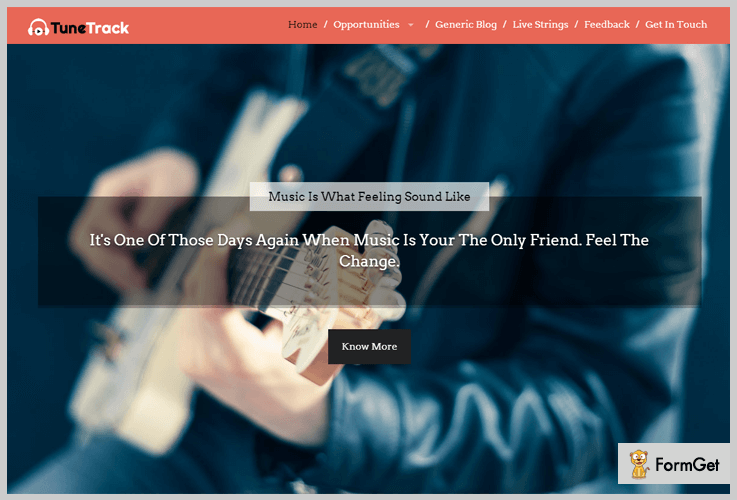 Using this theme, your band can make an engaging and eye-soothing website. The price of this theme is $79, with 24*7 support and lifetime accessibility. You can make your website’s homepage more welcoming using the full-width slider. Also, you can add images of your event, animated text, and taglines. Using this theme, you can create a portfolio section, where, you can add images of your events, traveling and more. Your followers will be able to easily contact you via an inbuilt contact page. It also has Google Map integration which makes it easier for your fans to reach you. 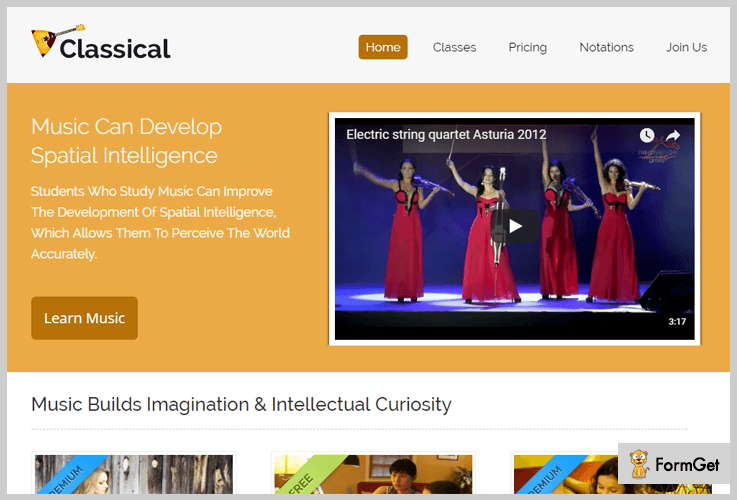 This theme is a perfect choice for music composers, singers, bands, etc to create a website. TuneTrack music WordPress theme is a feature-rich theme as it has a full-width slider, navigation menu, 3 – column featured area and a lot more. Also, you can have parallax effect on your website’s background with this theme. In addition, you can also have a portfolio section where you can add images of your events, shows, traveling, etc. From a full-width slider to the widgetized area, this theme costs you $79 only. It has various unique color combinations, which you can use to beautify your website. 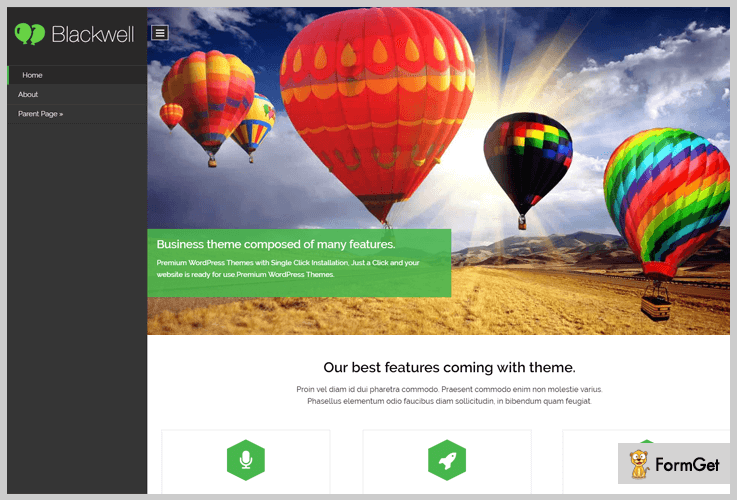 This theme has a full-width slider where you can add descriptive text and images. The homepage has 3 column featured area where you can show your music compositions, notes, mixing, and much more. You can share the words of your fans or followers in the testimonial section. This theme can be used by music instrument dealers, suppliers, instrumental store owners, etc, to create a website. We all know music is an art, but it is incomplete without its instruments. This music WordPress theme will allow you to sale several instruments using Ink Multi-Vendor Plugin. 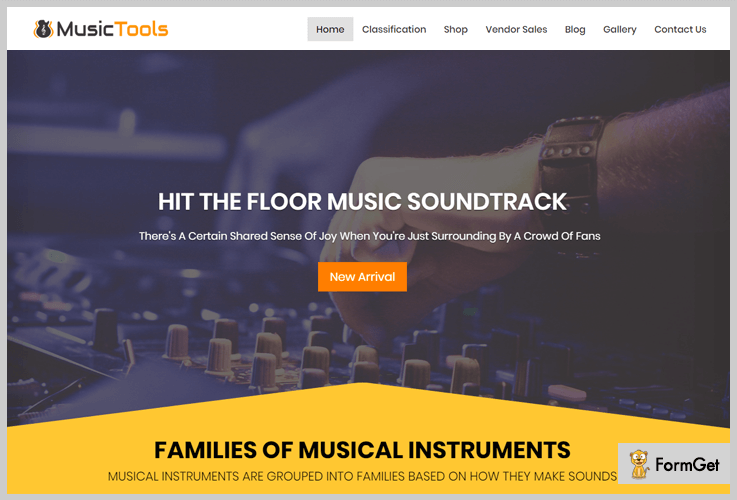 This plugin helps you to make your website functional to sell instruments. You just have to upload your products to sell them and earn a good profit. With unlimited color options and different easy to customize options this theme is available only at $79. 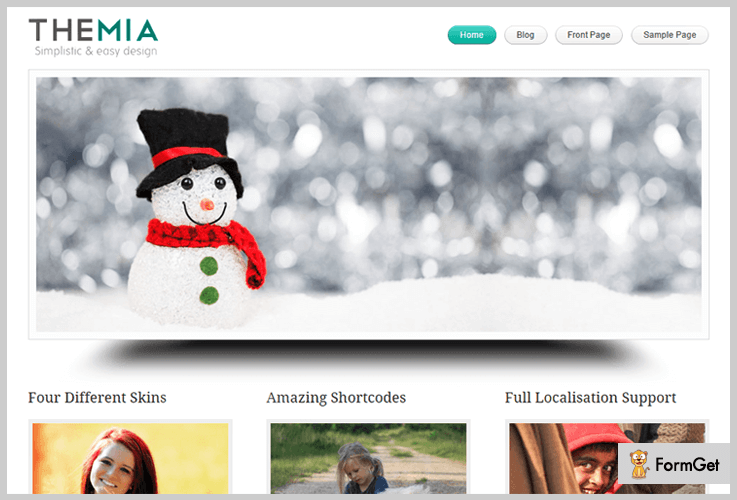 This theme has a footer section where you can use either 2,3 or 4 column along with social sharing icons and images. It has testimonial settings available where you can set the color of the background, header, and content. Also, you can set the heading of testimonial section according to you. You can change the layout and animation effects in your blog section. In this theme, you will also find a shop section setting where you can categorize your products and display them on the homepage. Themia Lite is a beautiful and simple theme. In this theme, you will find distant features due to which people who belong to different niches acn easily use it. You can add your business logo, and you can customize the background. This theme will help you in enhancing your websites look using 4 different color schemes. This theme has a review of 4 out of 5 stars, with 520 active installations, and is available free of cost. It has a comment section where comments are arranged in a well-organized way. You can use the editor’s style option which helps you in enhancing the look of your website. This theme is multilingual and can be translated into other language using plugins. In this theme, you will find feature templates for blogs. BlackWell provides you many features like – widgetized area, featured image, admin visual editor and more. This theme has its own fine points. It is simply designed by keeping in mind about general users, businessmen, or for other purposes. Even you can add text to the slider available on the home page. Despite of its easy to use feature and simplicity it is available free of costs. It has three column feature area, where either you can list your services or showcase the goals of your website. Here, you can customize the background and introductory texts. You can also use the widgets whether on sidebars or in the footer area. This theme has a full-width slider where you can add images and its description. Here we tried to stuff all the information we have regarding these 5+ music WordPress themes. These free and paid themes have many features which can make you stunned. All the above-mentioned paid music WordPress themes are SEO optimized, compatible with all latest browsers and responsive according to the size of the screen.